Finally here are some photos from the FCC documents. 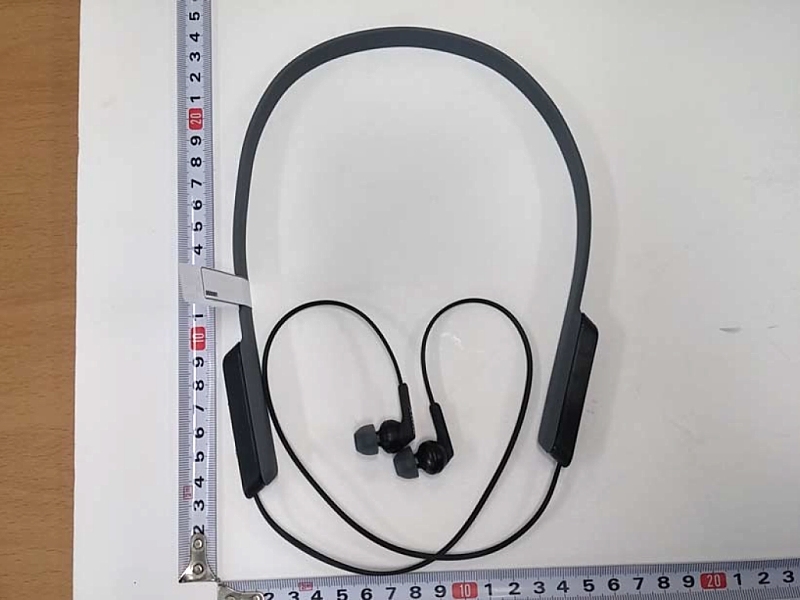 Next up, is the XB80, which seem to be a higher end version of the XB50. The XB80s feature a closed dynamic 12mm driver, EXTRA BASS and in ear design with IPX5 water resistance. 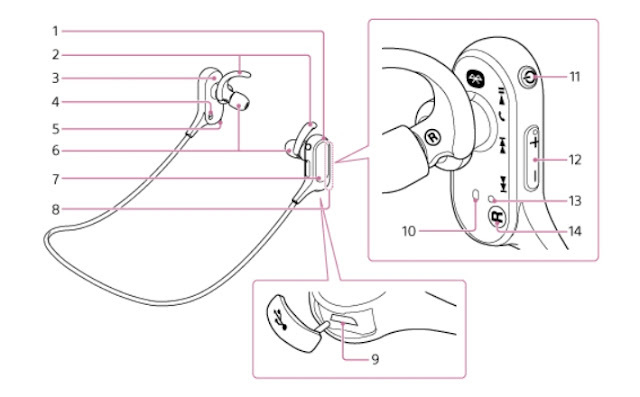 An absolute secure-fit is provided by flexible earhooks and a cable adjuster to lock the earbuds and cable around the neck. 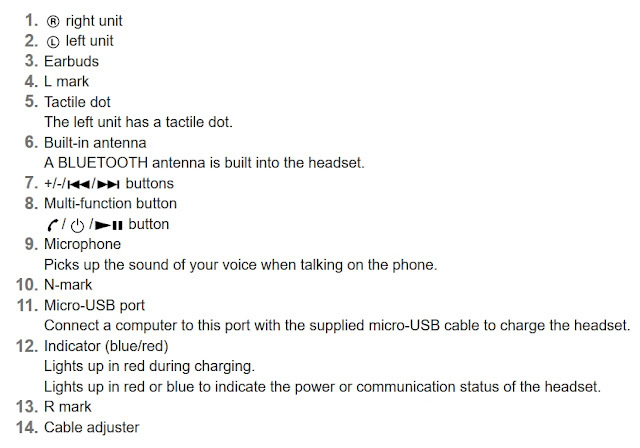 The right unit features the controls for the unit which include play/pause and the ability to answer calls for hands free calling, along with other controls seen in the image below. 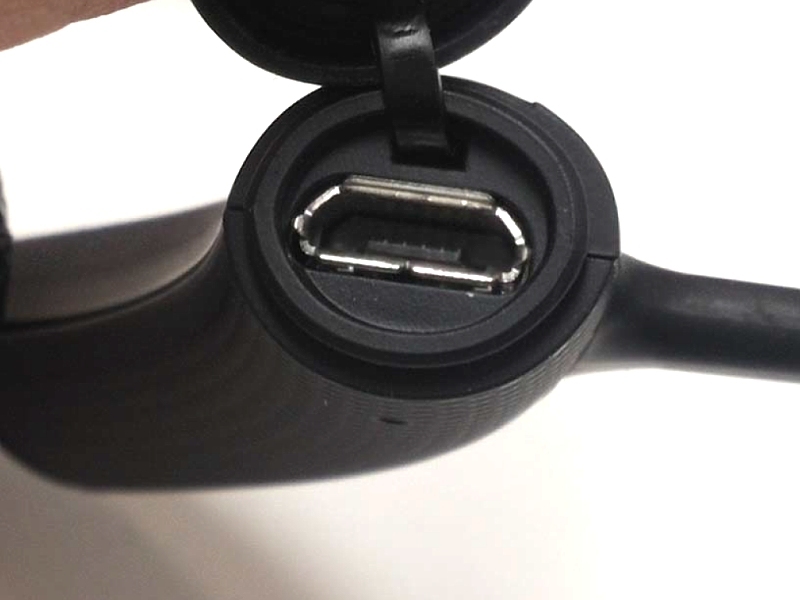 On the bottom of the right unit is the micro-USB port for charging, with the NFC found on the left unit. Unlike the other wireless headsets, the XB80s feature LDAC and aptX support. Playback time for SBC/AAC is 7 hours, LDAC/aptX is 6 hours with a standby time of 200 hours. A full recharge takes 1.5 hours but with a quick 10 minute charge, the unit headset can be used for 1 hour. 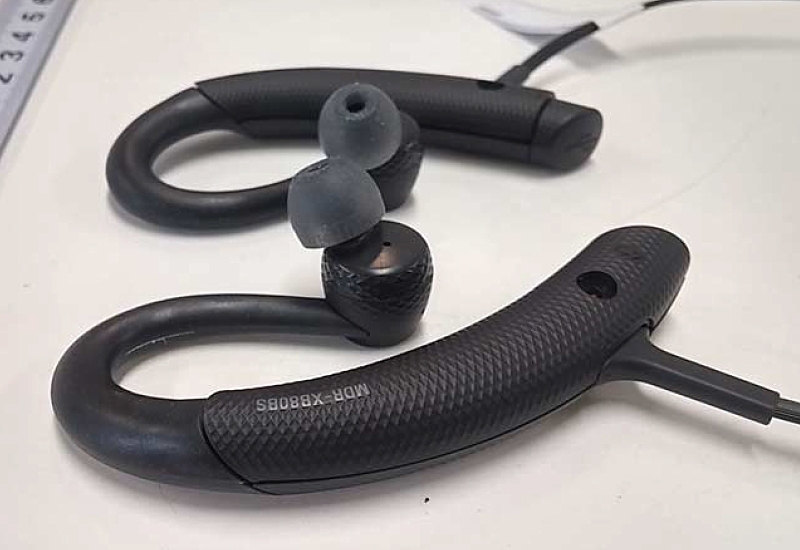 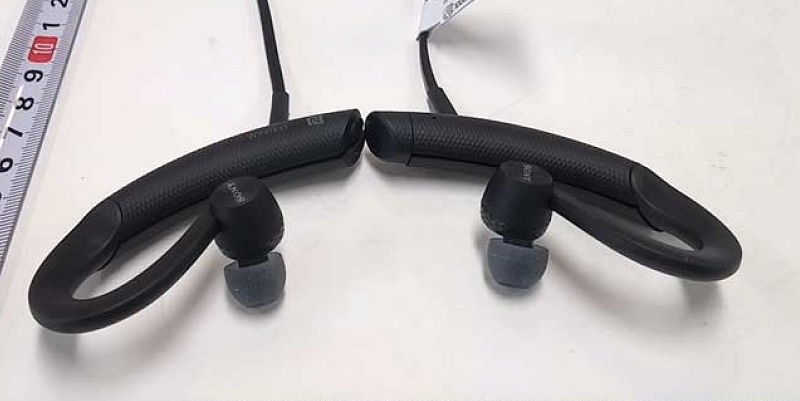 Coupled with a lightweight design (26g), secure fit and superior bluetooth codecs, the XC80 appears to be the best of the 3 headsets. 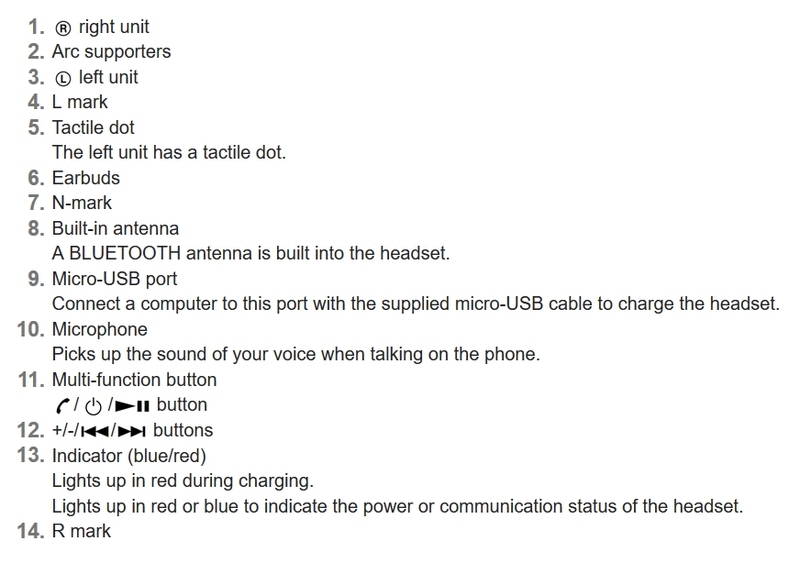 Here is a layout of the device controls. 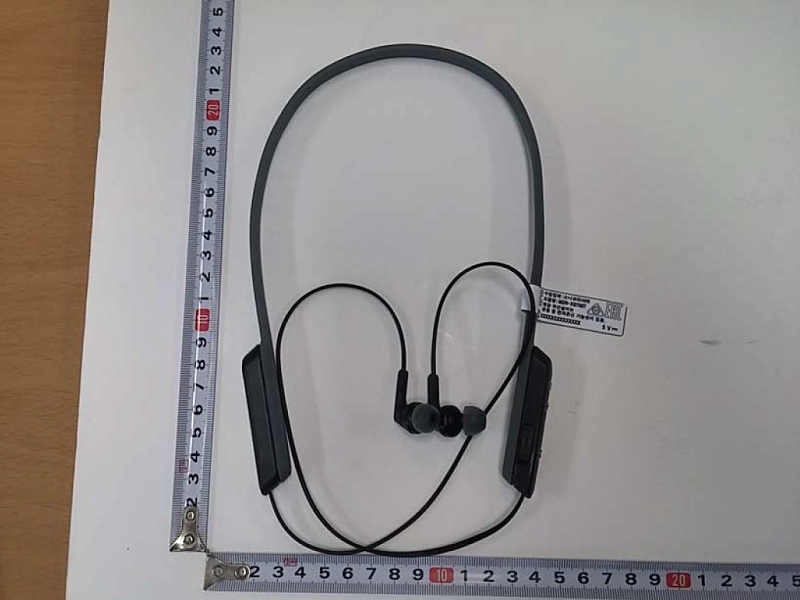 Some photos from the FCC. 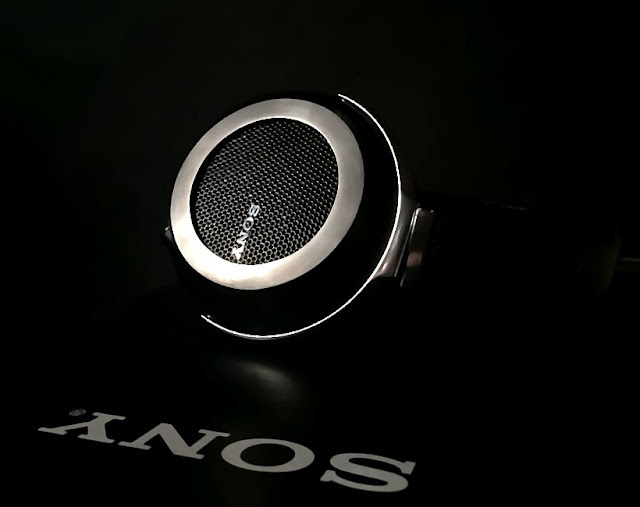 Finally the best for last. 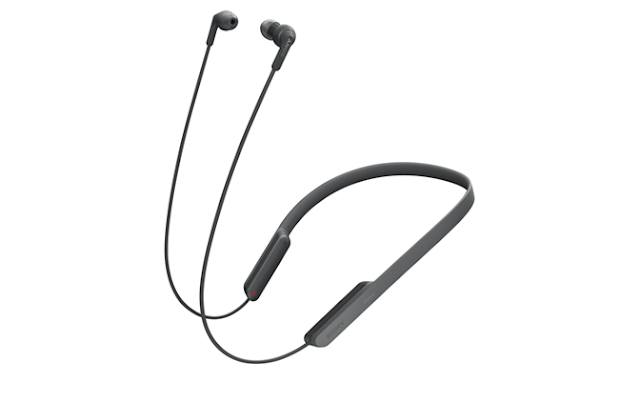 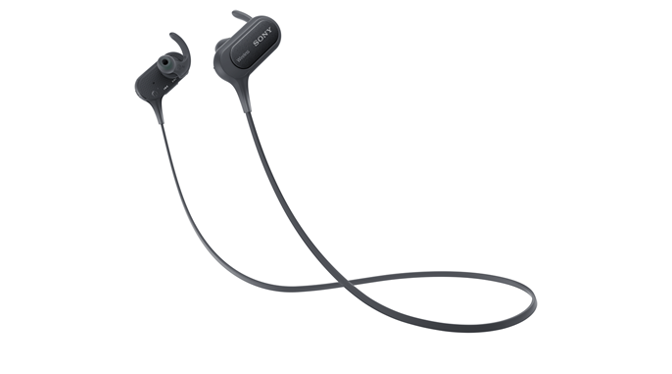 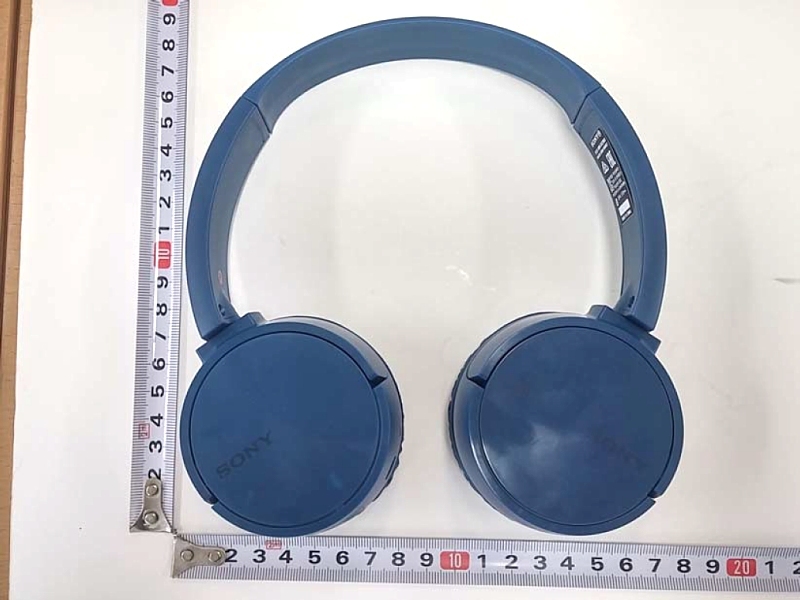 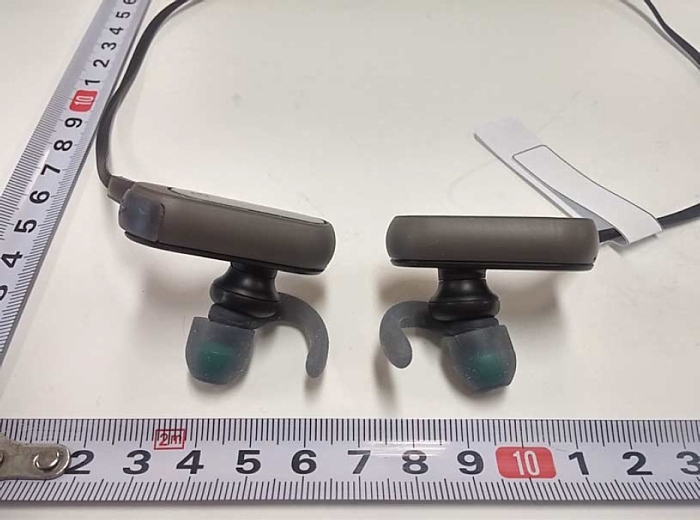 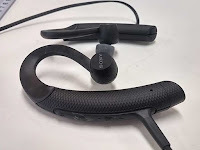 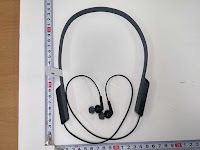 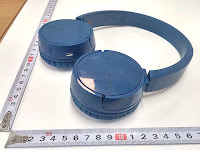 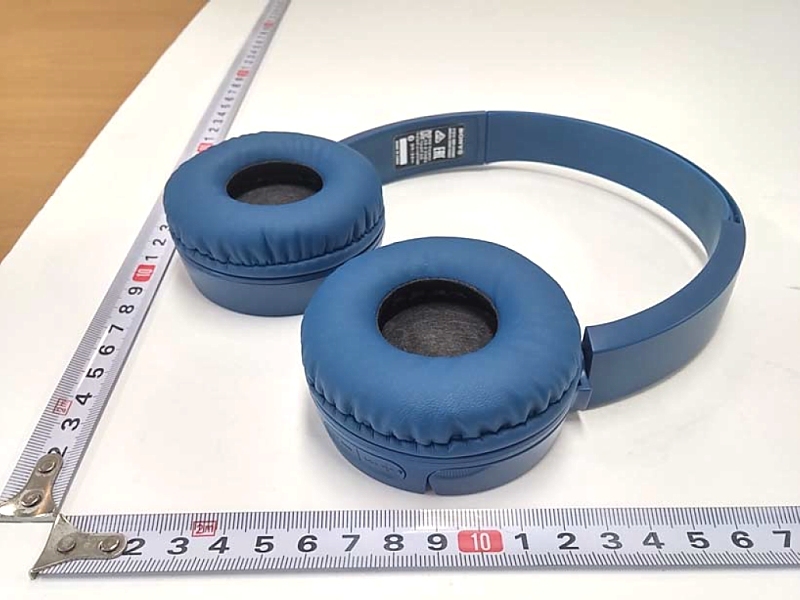 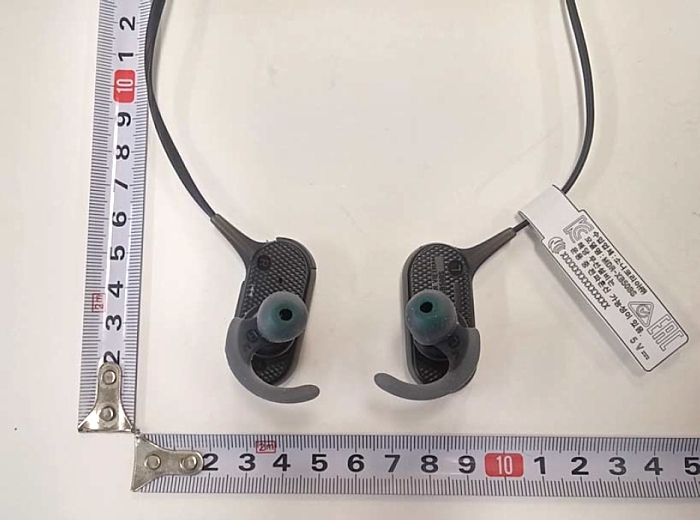 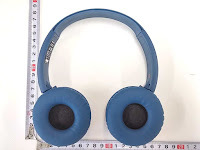 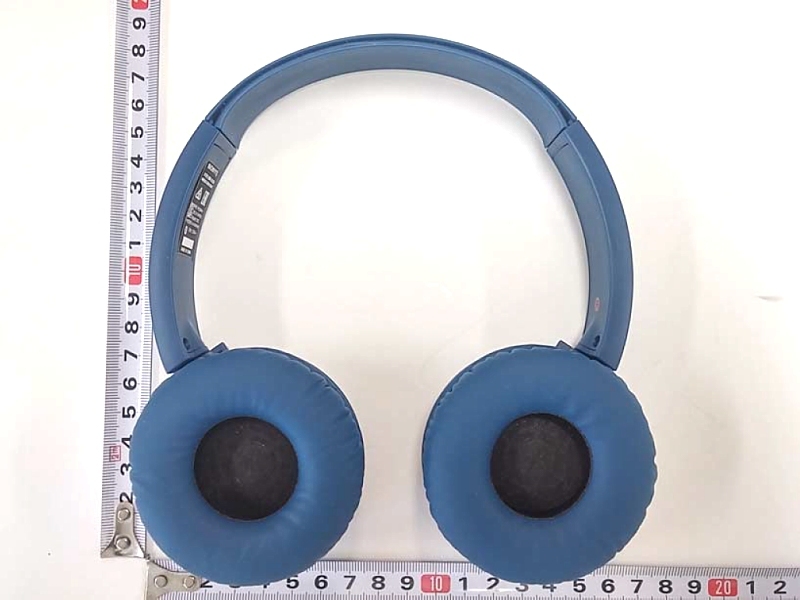 The 1000X appears to be part of the high end line of Sony headphones, High-Resolution Audio compatible along with active noise cancellation, the 1000X is packed with a lot of new technology. 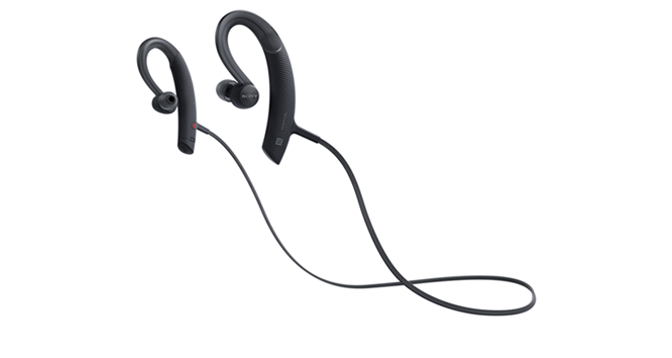 The headphones feature a personal NC Optimizer which tailors the noise-canceling performance perfectly for you. 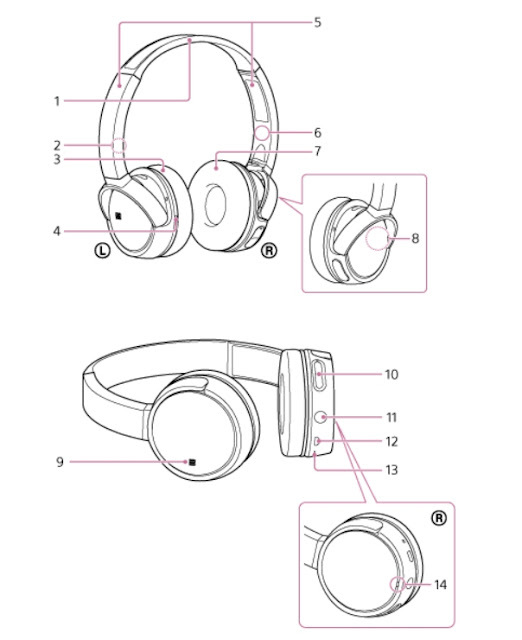 This is accomplished by the headphones optimizing the performance of noise cancelling by analyzing the shape of your head and wearing style. 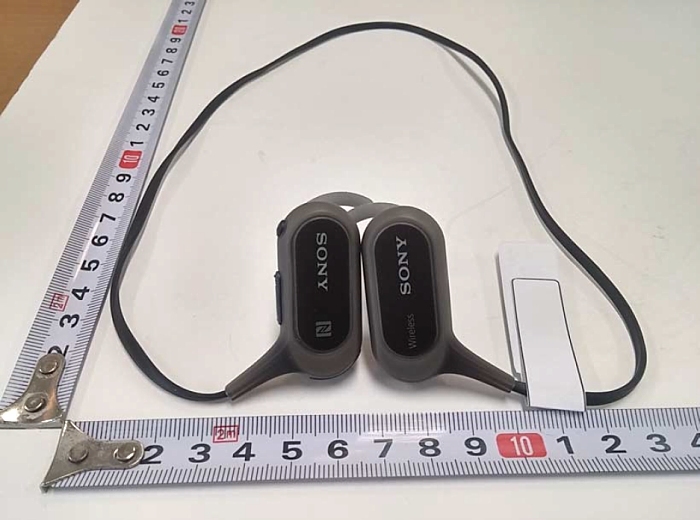 How exactly this happens is unknown to me, but I am sure Sony will explain it at IFA, or perhaps they will not. 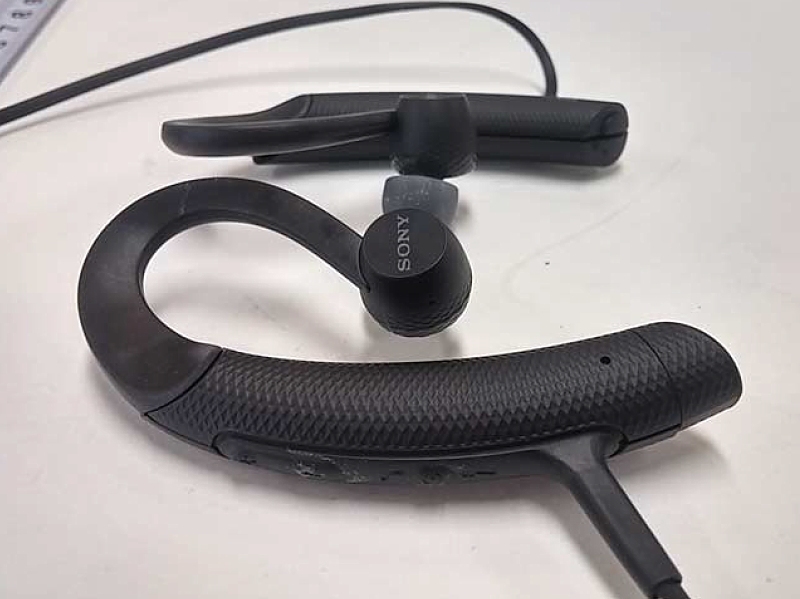 An ambient sound mode is included, there are 2 modes, I will let Sony explain the 2 modes. Normal mode: you can hear the ambient sounds like you don’t wear the headphones. 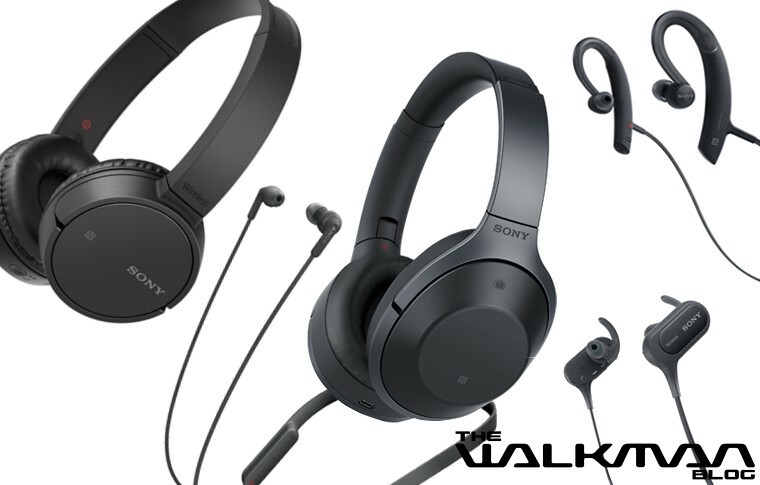 Voice mode: you can notice voice and announcement around you with unnecessary noise cancellation. 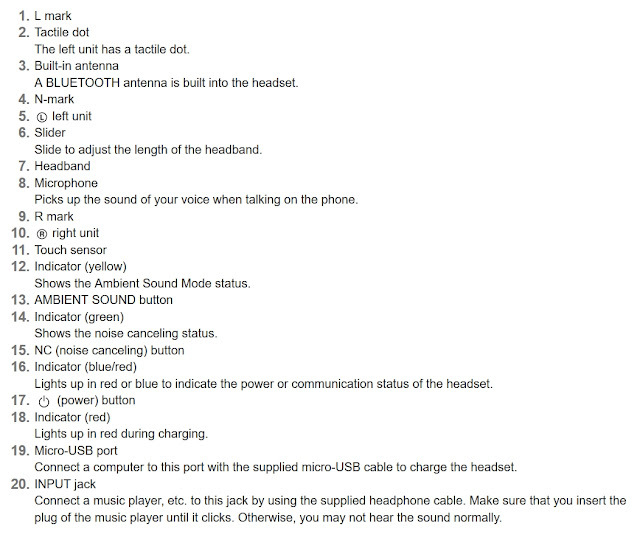 Seems the voice mode cancels out the ambient noise like cars and random noise but permits sound to come through. 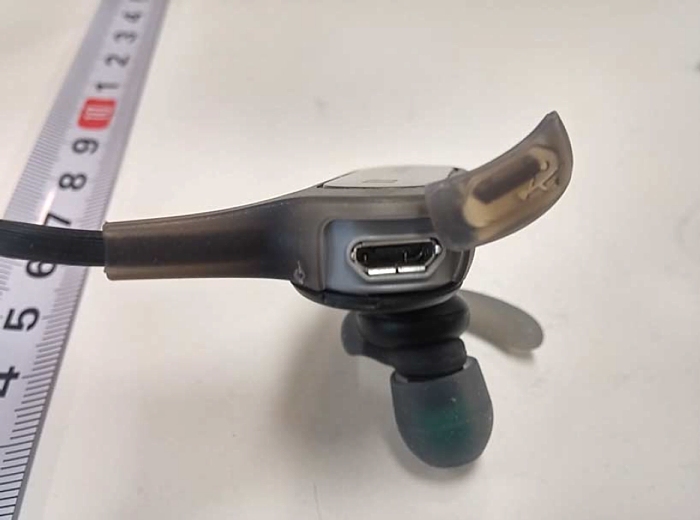 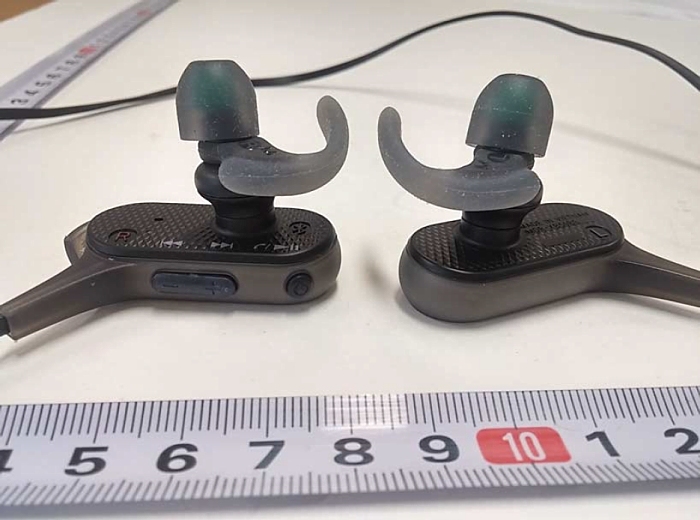 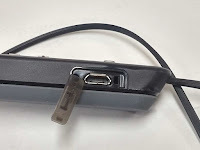 The right unit features a touch sensor on its side; by covering and holding the entire surface of the touch sensor, the NC is turned off and the volume is turned down automatically. 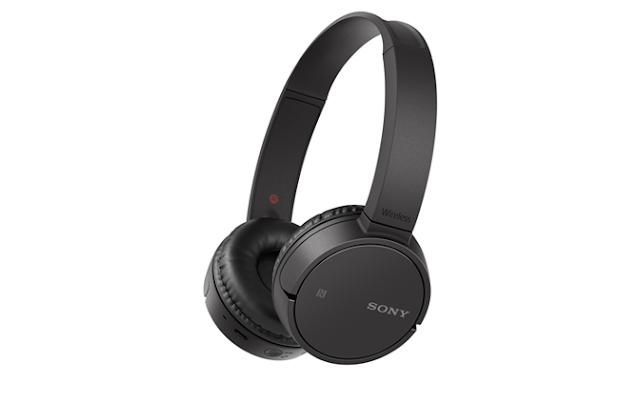 This permits one to hear any announcements and conversations quickly without the need to remove the headphones. 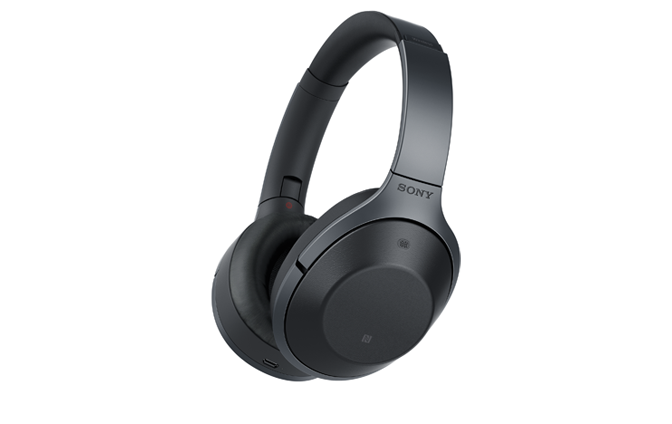 Like most high end Sony headphones, the 1000X feature DSEE HX which upscales existing music to near high-resolution sound quality. 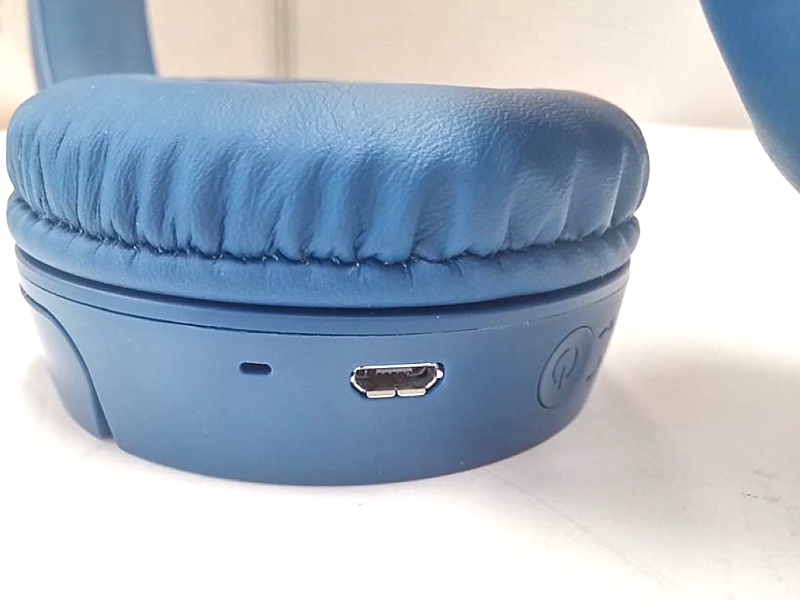 In addition to SBC/AAC, aptX and LDAC codecs are supported for high quality bluetooth streaming, and with NFC, connections are quick and easy. 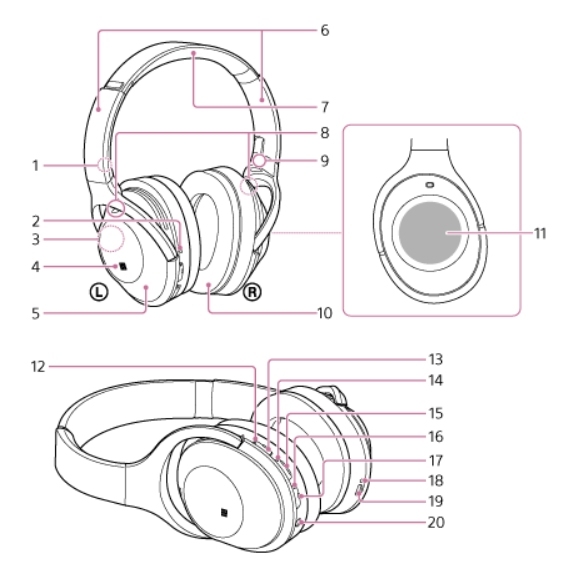 The headphones swivel to fold into a compact shape for easy travel and storage. 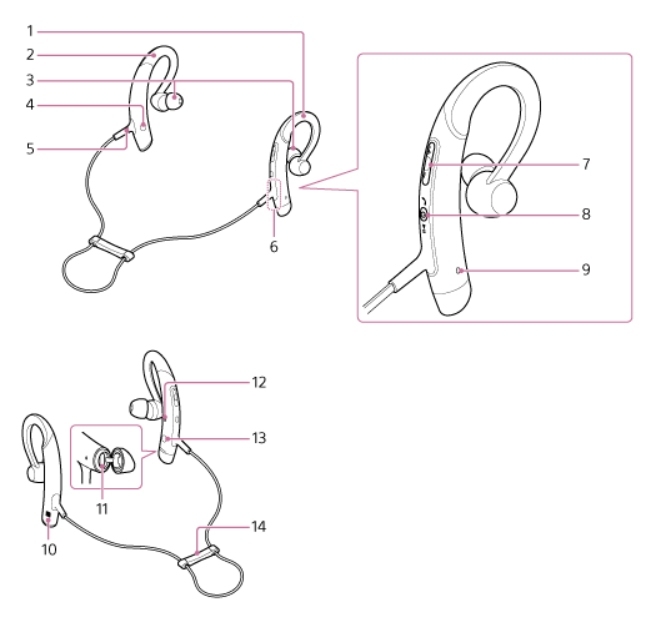 Playback time is 20 hours with NC on and 22 hours with NC off. 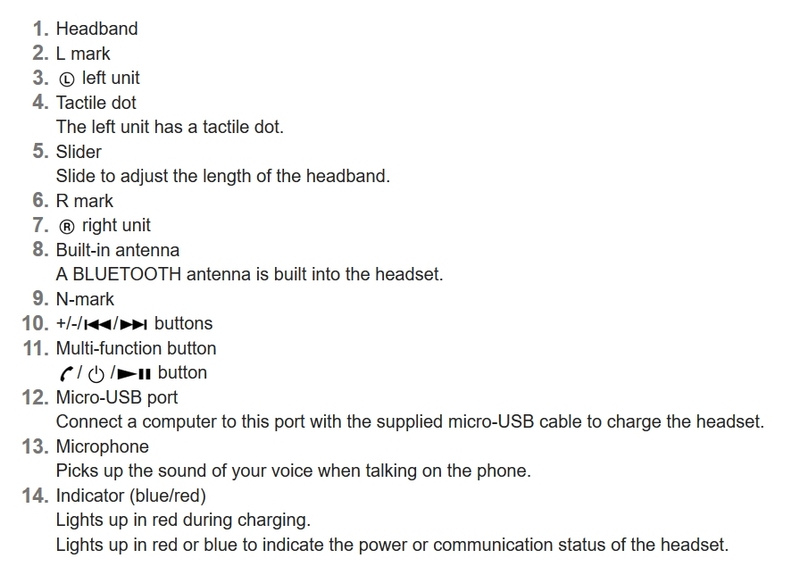 Standby time with NC on is 34 hours and a 120 hours when the headset is turned off. 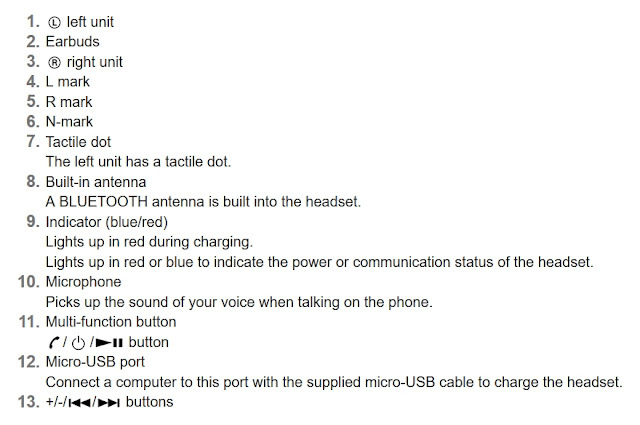 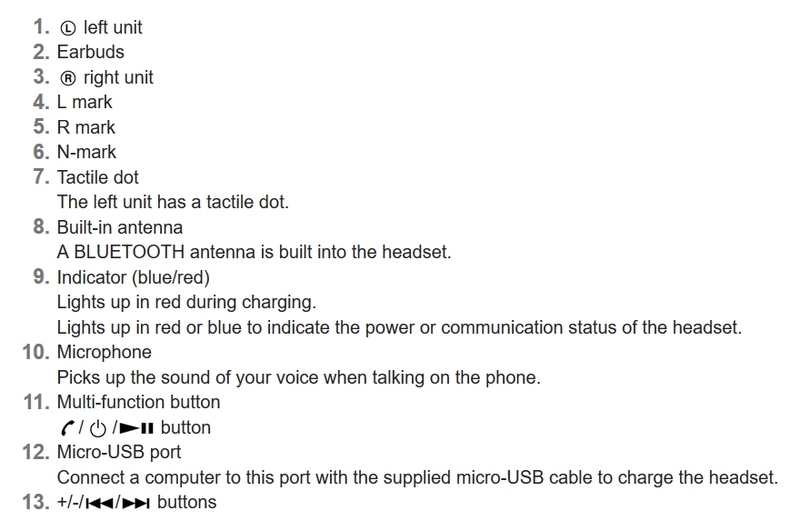 The headset can also be used with a wired connection, NC on around 30 hours. I will try to get more details on the 1000X but it is rather scarce at this moment in time. 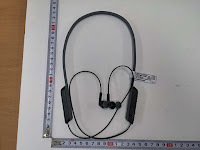 Please give us more info about this Z8 or what it's named!